St. Christopher’s Church is a Grade I listed building constructed in millstone grit (a local stone), with a tower parapet and window and door framings in grey sandstone. The roof is covered with stone slabs quarried in nearby Kerridge. 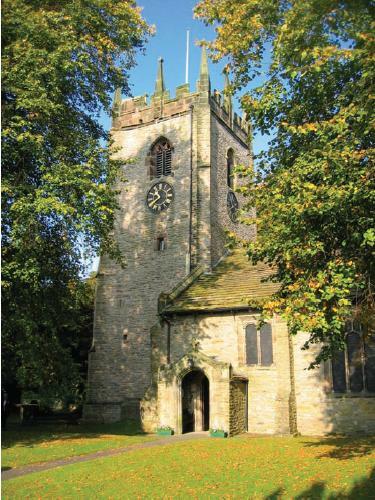 St Christopher’s was originally a chapel connected to the parish of Prestbury. 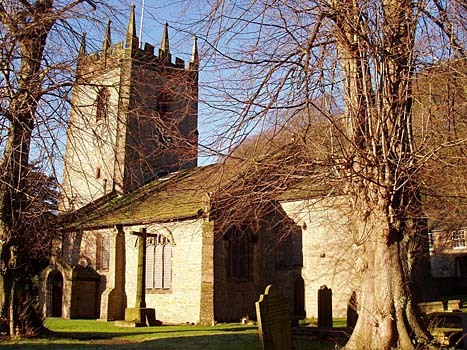 It is thought that the church was founded in the late 14th century and completed in its present form by the construction of the Downes Chantry Chapel by Geoffrey Downes in the late fifteenth century. A list of ministers is known from 1502 and the baptism registers commence in 1629. The church is built in the classic perpendicular style and consists of a west tower, a short nave with three aisles and a chancel. The tower is relatively large for the size of the church, with a four-faced clock dated 1809, made by Thomas Schofield of Manchester. Inside St. Christopher’s there is a fine, late 15th century barrel roof constructed of plaster on a reed backing. Above the chancel arch, the Royal Arms are those of King George I to George III. The oak altar table dates from 1698. 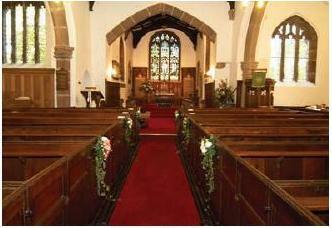 The oak box pews were acquired from St James' Church, Gawsworth and were installed in the 19th century. The Pott Shrigley Bell Tower originally had a ring of three bells, one of the oldest in the North West. Two bells date back to about 1430. The largest bell was recast in 1607. Three more bells were added in 1986, after local fundraising, to complete a peal of six bells. Inside the church, under the chancel arch close to the altar and built into the wall, there is a representation of the famous 'Alice In Wonderland Cheshire Cat' as it is usually depicted today and the church is home to a number of other medieval carvings. A preaching cross that probably predates the church can be found in the churchyard, to the right of the entrance.